DadOut is the first community app for the modern dad. We suggest fun activities, places, and meet-ups that match you up with other dads with kids who have similar interests. Plus, you can host your own meetups and invite other dads with kids to join. Find new dad-friends in your area. Share tips and advice with like-minded dads. 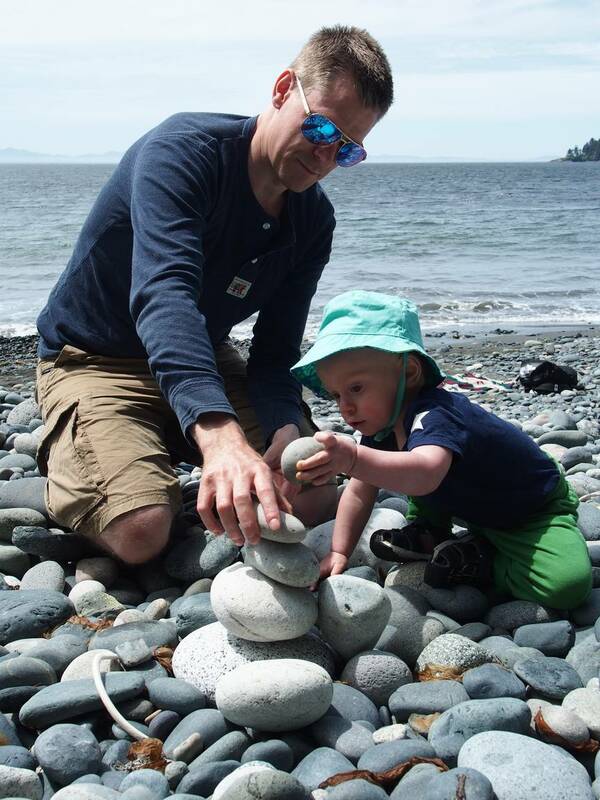 "As a busy dad in the 21st century it's a challenge for me to come up with and plan fun activities for my kid. I wanted to simplify this task and make it something I can easily integrate in my daily routine. I wasn't happy with leaving the activity planning to my wife. I wanted to do something about this unhealthy routine. Some friends and I decided we wanted to actively persue becoming better fathers, husbands, and friends to each other." DadOut will be free for you to use! We really appreciate your input, it would mean a lot to us if you could take 2 minutes out of your day and respond to our survey. 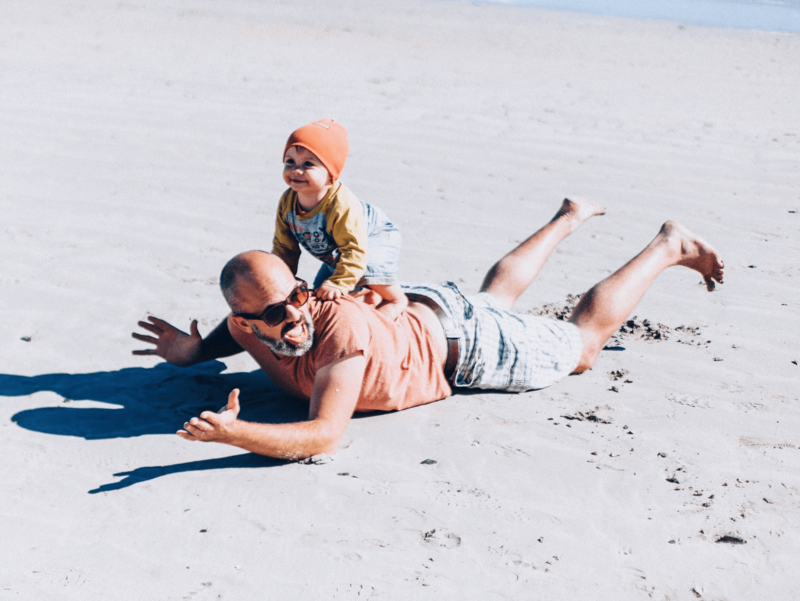 We suggest fun activities, places, and meet-ups that match you up with other dads with kids who have similar interests. Plus, you can host your own spontaneous meetups and invite other dads with kids to join. 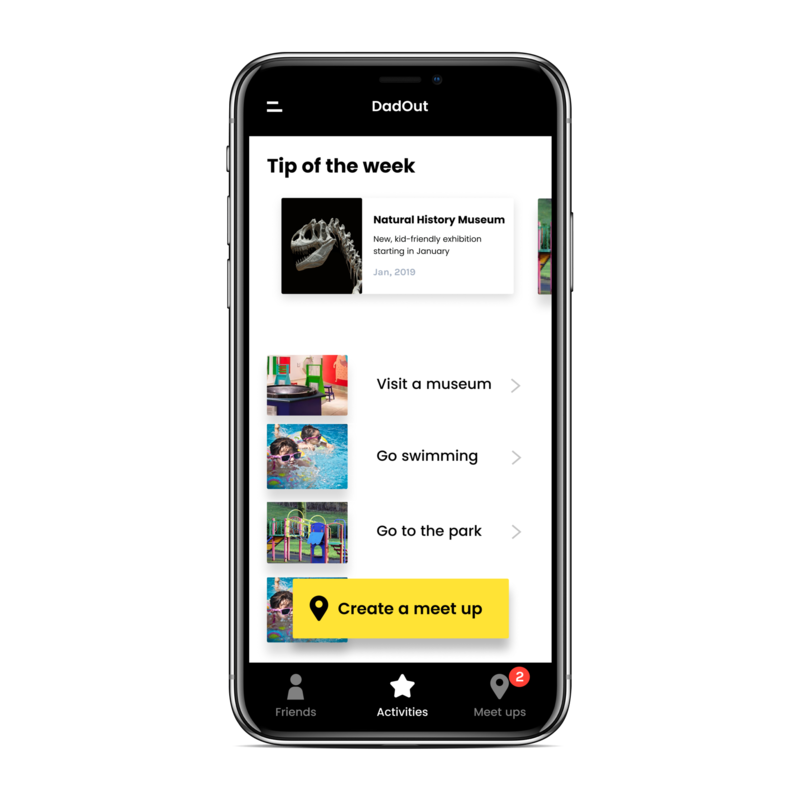 Create a meet up and share your meet up page with other dads - they can respond without even having to download the app. Meet new dad-friends with kids in the same age as yours that share similar interests. Bond with your kids and other dads. Be more engaged in family life and become a better dad. Find something fun to do with your kids this weekend. Meet and invite other dads with kids to join. DadOut has the perfect playdate for everyone - no matter the age. No more arguing about what to do on the next rainy day! Bye, group messages and Facebook Groups. Dadout makes communicating, meeting-up, and RSVPs easy. Always know who's coming, where to meet, and what to bring. Experiences for you, by you. Are you going to the park in 2hrs from now? Send out a notification to your dad-friends so that they can meet up with you. Let your wife enjoy a quiet afternoon at home, while you get to connect with fellow dads. Let your kid experience the joy of a fun activity together with new and old friends. Make sure to be one of the first dads to get access to DadOut by signing up to our newsletter below. DadOut will be free for dads to use! We will only use your details to contact you regarding your interest in DadOut.